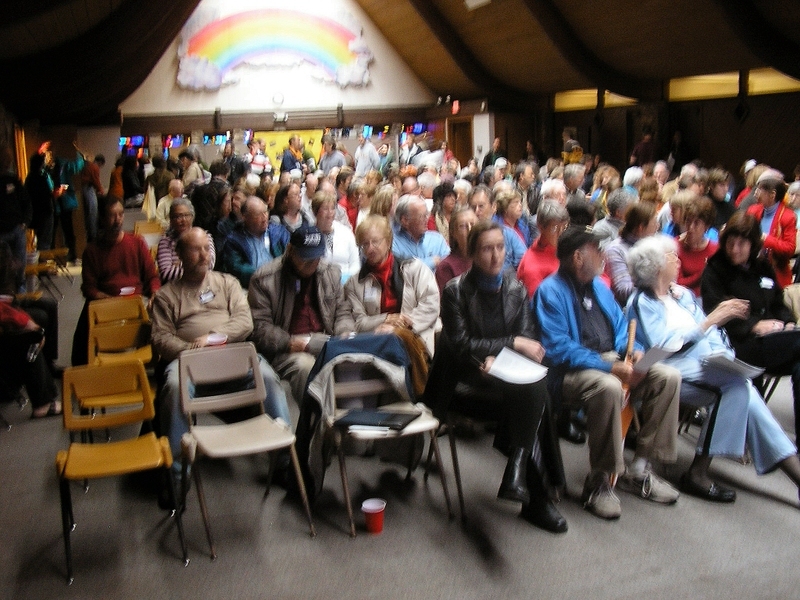 Over 160 Allandale residents showed up on a cold, rainy Saturday afternoon and endured a 3 hour meeting to let it be known: WE DON’T WANT WAL-MART IN OUR NEIGHBORHOOD. It was standing room only at Covenant Presbyterian Church. The meeting started out awkwardly as the Allandale Board worked through whether or not this was the appropriate meeting to approve minutes from the previous general meeting. ANA President, Gretchen Vaden decided it wasn’t and moved on to the meeting agenda starting with comments from members of the audience. expect from Fire and EMS as a result of the increased traffic. against the City but have not. supporting like organizations whether or not we pursue a lawsuit." This motion was also approved.